So it’s a very long story, but my beloved binoculars are about to make their way to another hemisphere because they are properly broken and only a few people in a little cave in Austria have the expertise to fix them. Or at least that’s how I like to imagine it. 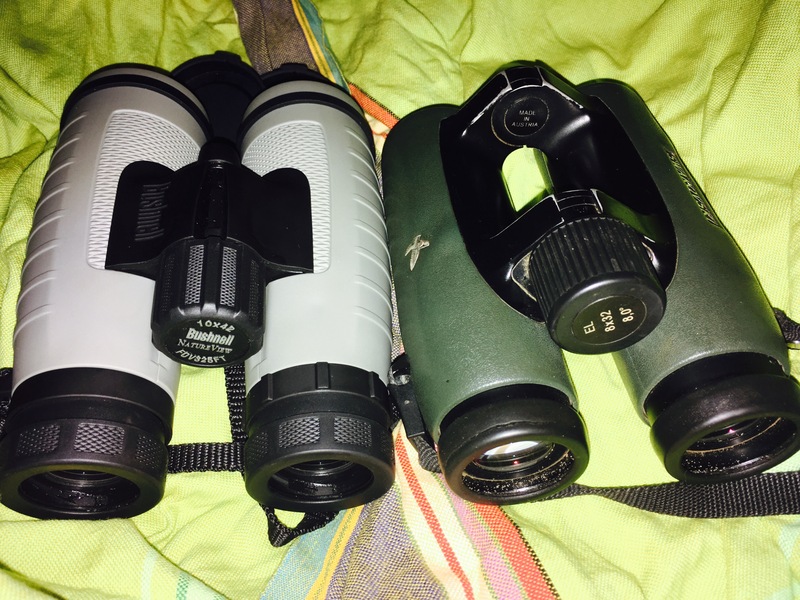 My binoculars are a pair of Swarovski EL’s, which are generally accepted to be the best binoculars ever made. They’re the only binoculars I’ve ever had and all I’ve ever known, so by default, I’m a binocular snob. That little fact made it extra hard to find a pair of replacement binoculars to use for the large chunk of 2017 that I’ll spend without my Swarovski’s. So after much reluctant research and debate, it was poverty that led me in the end to the Bushnell Natureview 10×42’s. 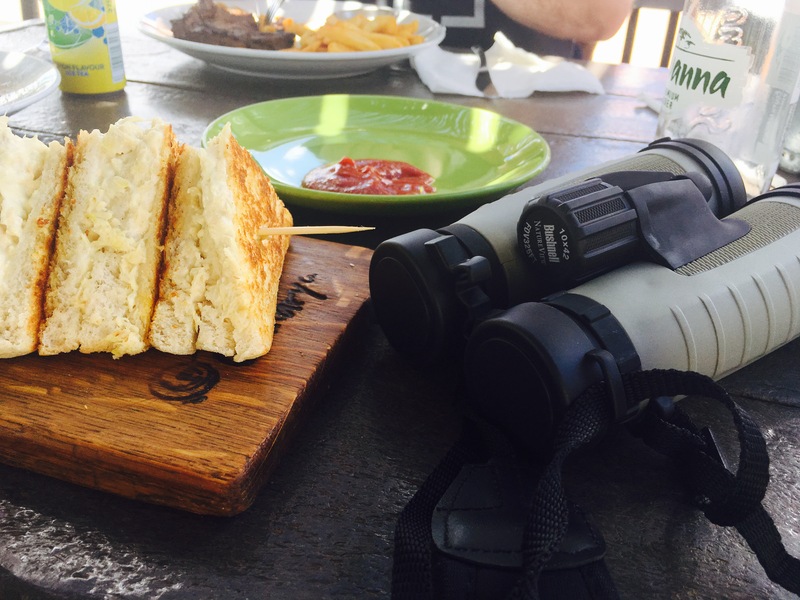 These binoculars cost as much as R4500 here in South Africa, but a couple of weeks ago I got a killer deal and picked them up for about R1000 on a British website. I bought them in another country without testing them. Never a good idea. I did however, test out the Bushnell Powerview 10×42’s we had sitting in our office at work. I didn’t love them and thought the Natureview’s would be similar. But… R1000. Poverty. It was worth the gamble. Surely? 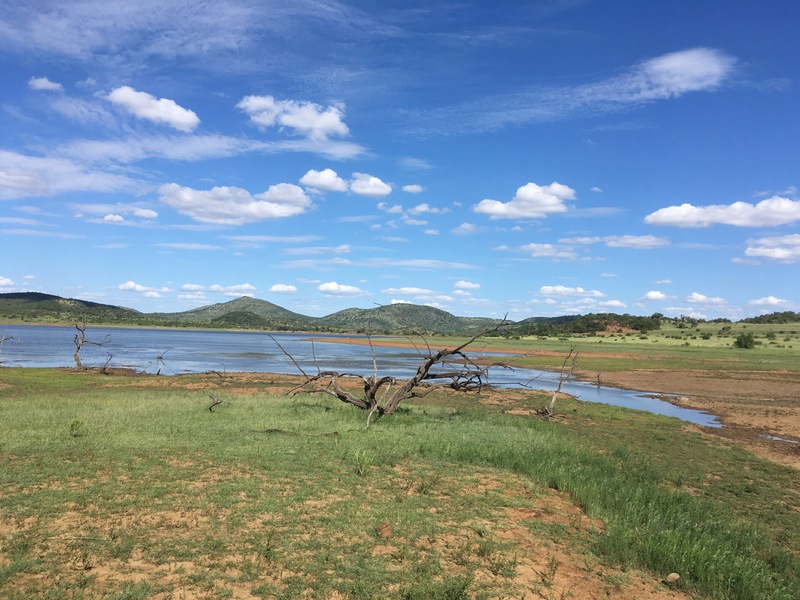 My Natureview’s arrived in Africa (along with my parents) a couple of days ago and yesterday I had the chance to try them out on safari in Pilanesburg. When I actually got them out into the bush, I didn’t struggle the way I thought I would with the bigger size (my Swarovski’s are tiny 32’s). The Bushnell’s didn’t feel too big, nor did I have an issue with the 10x magnification, compared to the 8x that I’m used to. Some people find it’s too hard to focus because you need super-steady hands. My hands aren’t steady at all when I’m looking at something like an osprey (tick) and I’m so excited that I forget to breathe. And yet… I saw that Osprey. I tracked it across the sky. Effortlessly. Love. The image from the Bushnell’s is okay. To be honest, it’s about the same as my severely broken Swarovski’s are right now. Adequate for every day use, but not incredible. Not life changing. 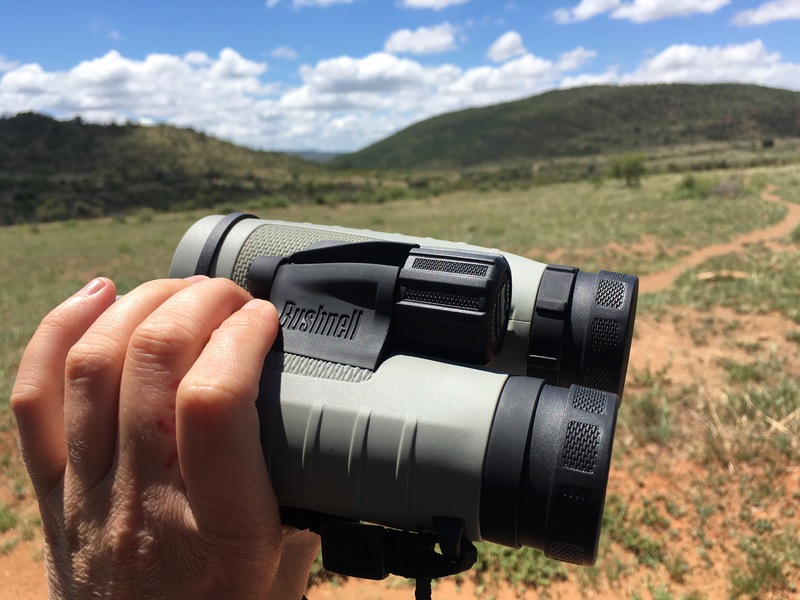 If I didn’t know what it was like to look through a gorgeous new pair of R30,000 binoculars, I’d rate the Bushnell’s SO much higher. But they’ll more than do. From a strictly snobby point of view, I found that I wasn’t embarrassed to keep them around my neck all day. They’re actually kind of pretty. I’m sure you’ll agree. 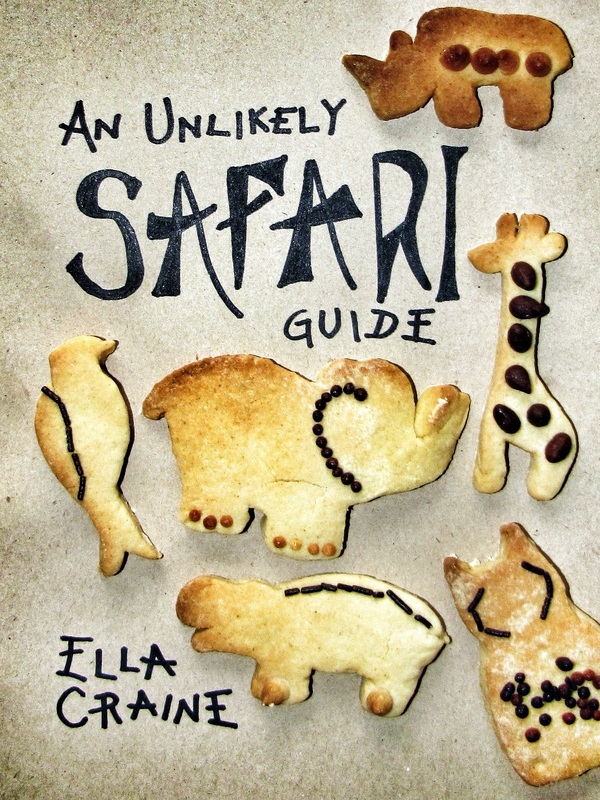 Also, I didn’t go to any effort to hide them from other safari guides, like I had planned to. And because they don’t cost a whole year’s salary, you can actually let other people use them too. Bonus. 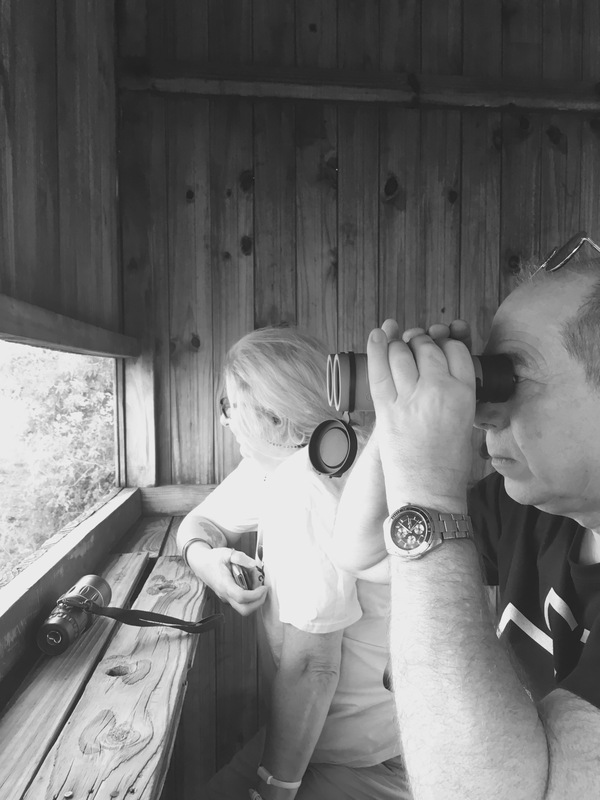 So really, I can recommend these binoculars for someone looking for a decent pair of binoculars for the occasional safari. I totally enjoyed their company on safari and I’m genuinely looking forward to my year with them. I can also thank them for a leopard I wouldn’t have seen without them. And that Osprey. If you’re binocular shopping at the moment, send me an email. 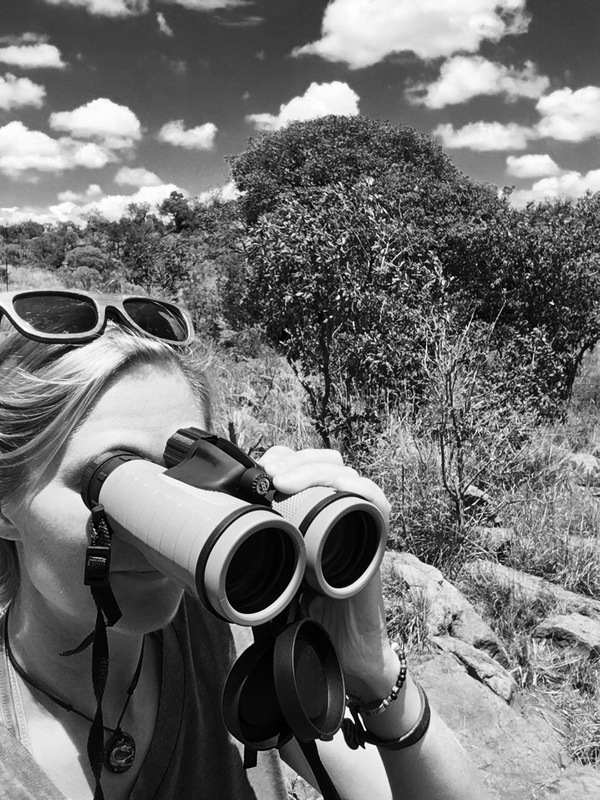 Bringing the right binoculars on safari is a really, really big deal and I’d love to help you make the best decision for YOU.